A group of scientists from the Siberian Federal University (SibFU) and the Siberian Branch of the Russian Academy of Sciences’ Biophysics Institute are currently working on making fungicides intended to be used for combating fusarium disease more efficient, said the SibFU press service representative in an interview with Sputnik. Fusarium is a fungal disease that affects plants and grain, significantly reducing the crop yield and the quality of what is being grown. It produces mycotoxins making the grain unfit for human consumption and also useless as fodder. 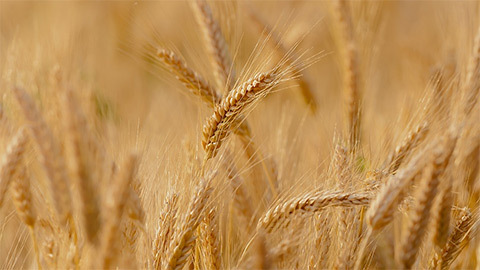 'The toxins affect not only the grain itself but also the products produced from it such as flour and bread' , — said Yekaterina Shishatskaya, Doctor of Biological Sciences, RAS Professor and Head of the SibFU School of Fundamental Biology and Biotechnology's Department of Medical Biology. — 'This means, we must protect the crops from this disease at the seed stage by treating the grain with fungicides'. Scientists are currently studying the toxic effects of tebuconazole. This is a fungicide used for grain and horticultural and vegetable crops. It enters the crop's vegetative sections and seeds through the root, efficiently combating the disease, but also damaging the host plant. With the help of a specially developed model system, researchers are now perfecting the scheme of treating seeds and affected crops with fungicides (including tebuconazole). 'The study being carried out by the Krasnoyarsk researchers will help us discover the mechanisms of the negative effect that the Fusarium disease, agricultural plant's enemy, has on crops, thus reducing the risk of poisoning them with triazole-based fungicides' , — the university stated. 'The Krasnoyarsk researchers' work will reduce the time and labour intensity needed to introduce the new fungicides through cutting field trial time with the help of laboratory-based tests' , — a representative from the All-Russian Centre of Plant Quarantine told Sputnik. — 'This, without doubt, will reduce the time and scale of implementing new measures for combating fusarium disease, which is important for plant quarantine during export operations'.